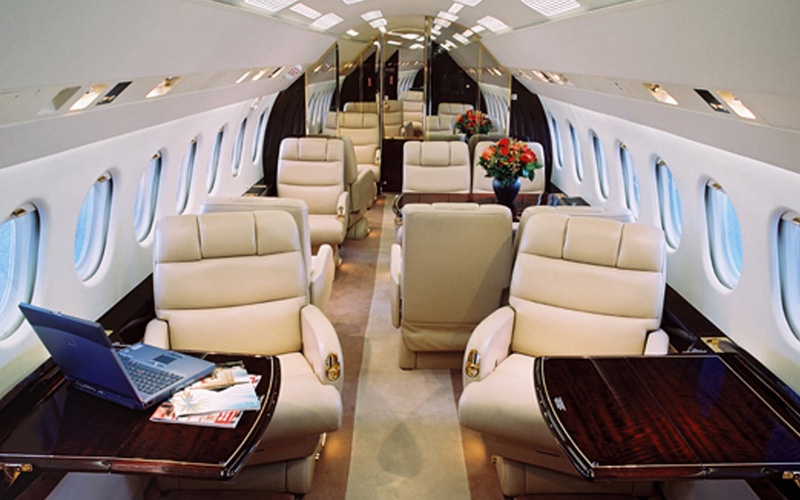 Heavy private jets are larger aircraft offering more spacious and luxurious accommodations. Heavy jets offer a range of up to 7,000 nautical miles, making them a great choice for travelers looking to fly a longer distance. The combination of space, luxury, speed and efficiency allow you easily traverse continents on non-stop flights on a private jet in comfort and style. 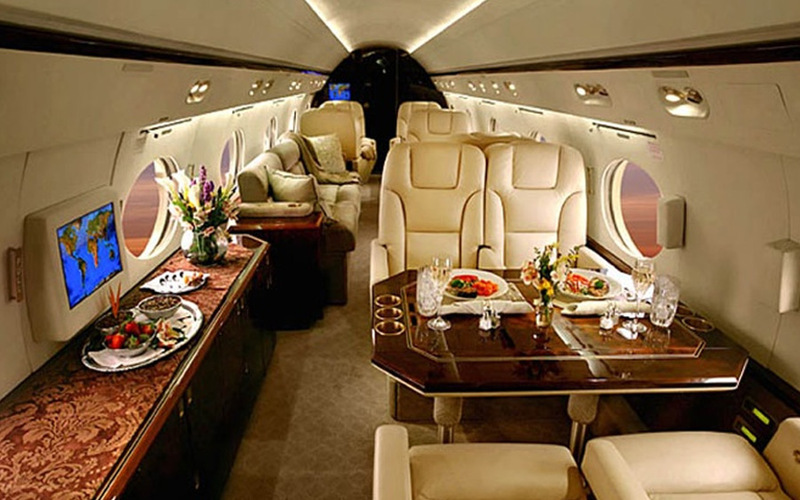 At Charter Jet One, we can reserve the perfect heavy jet for your travel needs. The Gulfstream IV is one of the most popular Gulfstream models featuring a large cabin that seats between 12-16 passengers. This heavy jet offers the same luxury and comfort of the other private aircraft in the G series. 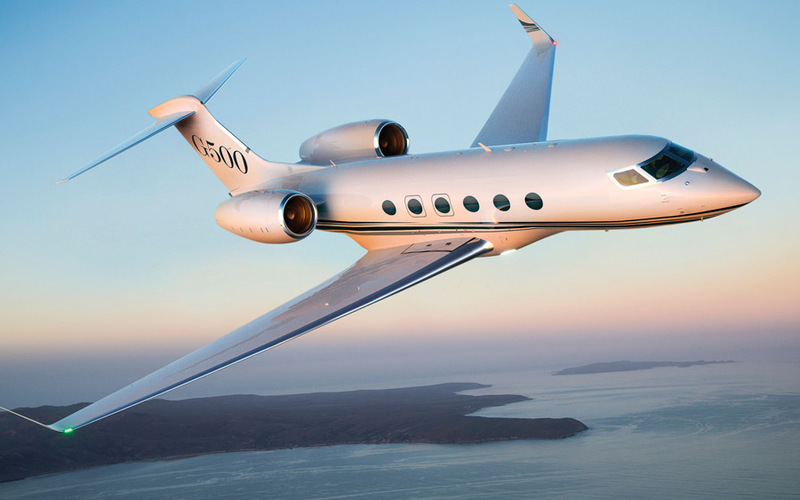 Gulfstream makes some of the best heavy private jets on the market. 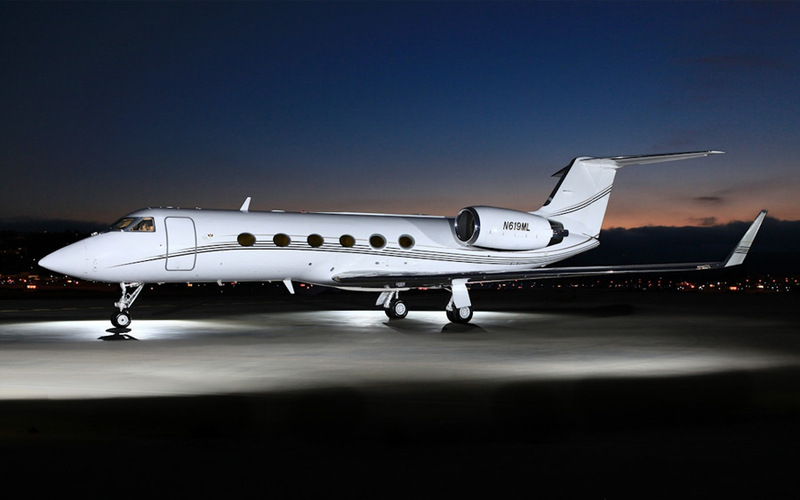 The Gulfstream G500 is another excellent heavy jet available in our fleet. These heavy private jets offer a great balance of comfort and speed to get you to your destination quickly, while maximizing every minute of travel time. With a range of 5,000 nautical miles and maximum operating speed of Mach .925, this private aircraft will whisk you to your destination around the world in no time. The Dessault Falcon is one of the most technologically savvy charter planes to hit the private aircraft market. Its sleek design and digital flight control system provide pilots with the control of a fighter jet and passengers a super smooth ride. The Falcon has excellent nonstop range of nearly 6,000 nautical miles and offers the unique ability to land at small airports – getting you closer to your destination, no matter where it may be. If you are looking for a heavy jet for your next private jet charter, Charter Jet One offers a large range of private heavy jet aircraft options to suite your needs. Whether it’s across the country or across an ocean, heavy jets are the ultimate comfort in private jet travel. There is room to relax while gazing out onto the beautiful scenery as your travel to your destination. When you rent a private jet from Charter Jet One, you’re upgrading your experience with luxurious accommodations, amenities and service. Do you have your heart set on flying on heavy jets? From ground transportation to aircraft landing, our industry-leading charter flight service is here to make your next trip a smooth experience. If you have questions about these heavy private jets, or you’re looking for more info on our other super luxury private jets, don’t hesitate to contact us! Book a heavy jet or request a custom empty leg flight quote today!